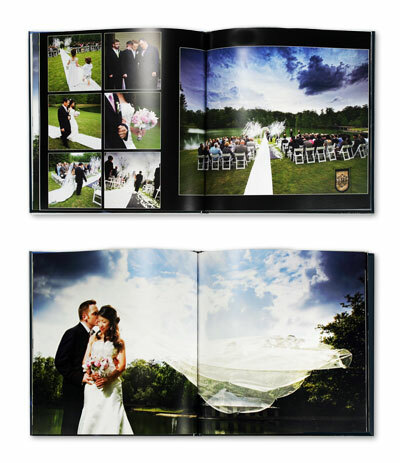 Landscape photo books are fantastic gifts for the bride and groom or parents. These are select photos from your photo shoot that are bound as coffee table books or display books of your wedding day. 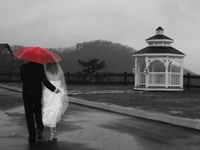 All our Pigeon Forge Wedding Packages come with a photo package 4x6s or 5x7s! Please, no photo or video cameras allowed at The Wedding Chapel or any Photo Shoots. This is the Bride and Groom's time and please do not disrespect them by doing so. We understand everyone wants to capture the precious moments, but it does not allow us to complete our job properly if we are trying to watch for other flashes or people. Our area is very beautiful and we can provide off site shoots and receptions with a fee. If he Bride has arrived a day early and wants a separate photo shoot for portraits, please ask your wedding coordinator for arrangements. Our Premium Photo Package is a $1,500.00 dollar package. This will need to be discussed with your wedding coordinator to get the best time that suits you for your offsite shoot. The formal is shot before the wedding in full bridal attire. Bride and Groom are taken separately. The photos are then edited and you will get both sets of unedited and edited digitally formated on a disk and the rights to the photos to be able to print them where you would like at your convenience. Ask your wedding coordinator about iphone covers/blankets/pillows and other gift items. Most Wedding Chapels in the area only take what you have requested in photos: example 6, 12, 24. 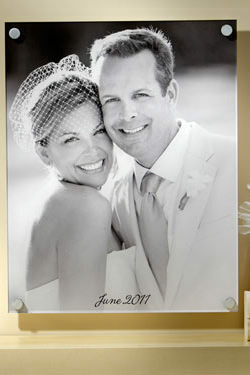 We know that your wedding is all about remembering and that the photographs are very important. We always shoot extras for you to choose from on our photo cart. We have several packages that allow for discounts when ordered upfront. You can also add to your order on the photo cart and buy photographs individually. A Photo Package must be purchased before individual products can be purchased. 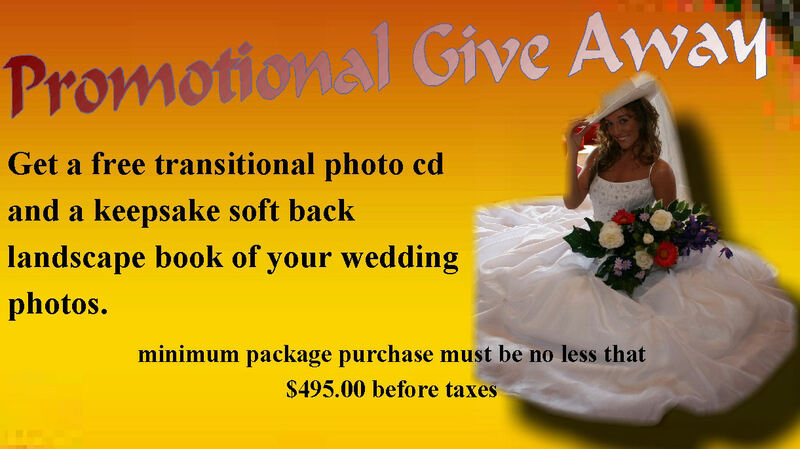 There is a photography fee in your wedding photo package depending on frames shot. Taxes and shipping must be added.